Log In and receive your coupon! Please enter your email address. We will email you your password. We've sent the password to your email address. If you don't receive instructions within a few minutes, check your email's spam and junk filters. We have sent an email to your email address with coupon print link. Its a custom link only for you. Do not share the link with your friends. Share to your friends to Amp Up the value of your coupon! Share on Facebook to Amp It Up! We have sent an email with instructions for account verification. If you have not received an email within 5 minutes, check your SPAM folder. If you still have not received it, CLICK HERE to resend. Sign up and receive your coupon! Click on the button below to continue printing. We have sent a verification Text Message to your mobile number. Please follow the Text Message to confirm your subscription and then click GO NEXT from this screen to receive your coupon! You should receive an Text Message shortly. Follow the instructions written in the Text Message to redeem the Coupon. You have selected Print within 24 Hours option. We are pushing you to our print later queue. A JAVA™ installation prompt may appear. Click Run to allow the verification process to continue. Depending on your system settings, you may need to respond to prompts to allow the verification to continue. We have pushed all your coupons to desktop printer. If you have not yet opened the desktop printer, Click here to go back and start over. Error when printing? Click here. We are generating your coupons. You might get a popup window asking to allow us access your system. Please click Run button. It is completely safe and we just need that permission to access your printer. 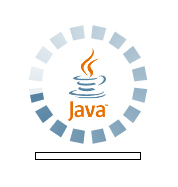 If you don't see JAVA™ loading icon above, that means you don't have JAVA™. 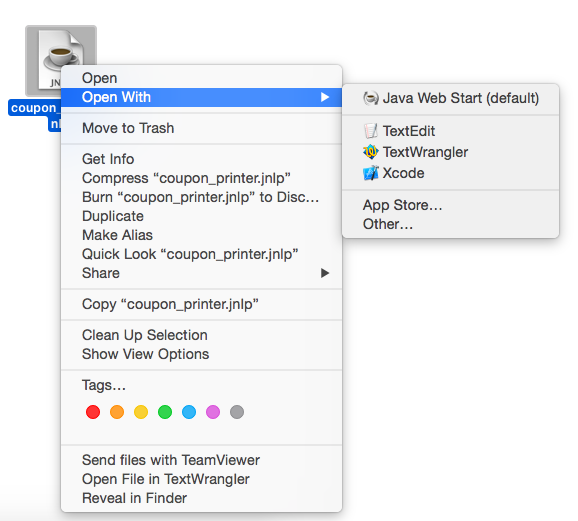 JAVA™ is a secure way to print your coupon. Click here to download and install JAVA™. If you see Manage Plugin / Inactive Plugin text, click on that text and enable JAVA™ plugin. 2. Click the Enable link for the Enable NPAPI configuration option. www.couponfeed.me - Get all coupon updates in one place. Click here to visit CouponFeed.com. Just to make sure you have everything in place. Please review all below items and hit Print. Don't have access to printer right now? Try our Print Within 24 Hours. The desktop printer is a printing solution that will simulate our printing process while still providing you with a coupon quickly and securely. Simply click the button below to begin! Alternatively you can use other browser for printing. We recommend Firefox, Internet Explorer and Safari as longer-term options. Click the Keep button to save your coupon. Remember: This is a one-time coupon print, not a program you are saving to your computer. The coupon printer file is a completely safe way to get your offer. Your coupon may be in your internet download folder. Locate it and click to send the coupon file to default printer. A JAVA™ installation prompt may appear. Simply click Run. After installing JAVA™, if you could not print, please click on the help tab on the left and reach out to us. We will help you getting the coupon. If you are still having issues printing click the green HELP button to the left to contact customer support! You can still open your coupon! Simply right click the file in your download folder, then select Open from the menu. This will then open a dialogue box with the options to Open or Cancel. Click the Open button then follow the prompts to get your offer. You will find the Desktop Printer in windows start menu or in mac applicaton folder. Once opened, click on the below button to initiate print. Let your friends know by posting to social media. Share by Email: Enter friends email addresses seperated by comma and hit submit. Thank you for using Everyday Saver! We do the clipping for you! Everyday Saver is bringing you new coupons every month. Our printable coupons print directly from your printer and can be used at most retailers. Please reach out to our team for help with your printing issues. Our customer support team is on it! Please check your email for a response shortly. How to use the downloaded file? Still Can't Print? Let's Talk. Step 1: Log In or Set Up an Account (click here). This will allow us to respond to you. Step 2: Click the Help Icon. Step 3: Select your Issue & Send Message. We'll get back to you with a solution as soon as we can!